Today, one year ago, a young man set off a bomb in the middle of a city, then drove to a near-by island, calmly crossed the water, and started shooting dozens of teenagers. Today, a couple of days ago, a young man went to a movie premiere, equipped with ammunition he had acquired for months, and started shooting dozens of viewers of all ages. Today, almost a year and a half ago, a young man went to a local constituents meeting and started shooting the Representative as well as dozens of bystanders. I doubt that I need to repeat here the details of the events that happened in Oslo and Utøya last week, when within a couple of hours a car bomb exploded in front of a government building and an assassin shot into a crowd of people participating in a political youth camp on a nearby island. Almost eighty people were killed, many more were injured or pronounced missing. During the immediate aftermath, bloggers and activists were quick to point out the premature judgment of some of the biggest news sources in the world, who hastily concluded that Muslim terrorists must have been responsible for these heinous attacks, even though no evidence whatsoever had been released by the police or witnesses. Turns out the perpetrator was a man who goes by the name of Anders Behring Breivik, and whom the New York Times chose to describe as “an ethnic Norwegian, a blond, blue-eyed man” (the statement has since been redacted). So, like, the exact opposite of a Muslim, right? Who could have guessed? And this aftermath, the media response, is part of the whole tragedy for me: the shock, the disbelief and the defensive demeanor at the fact that a white middle-class European could have done something that we normally attribute to those barbaric, medieval Islamist extremists. Which is why the media tends to describe him as a killer, a mass murderer and a homicidal maniac, but not a terrorist. 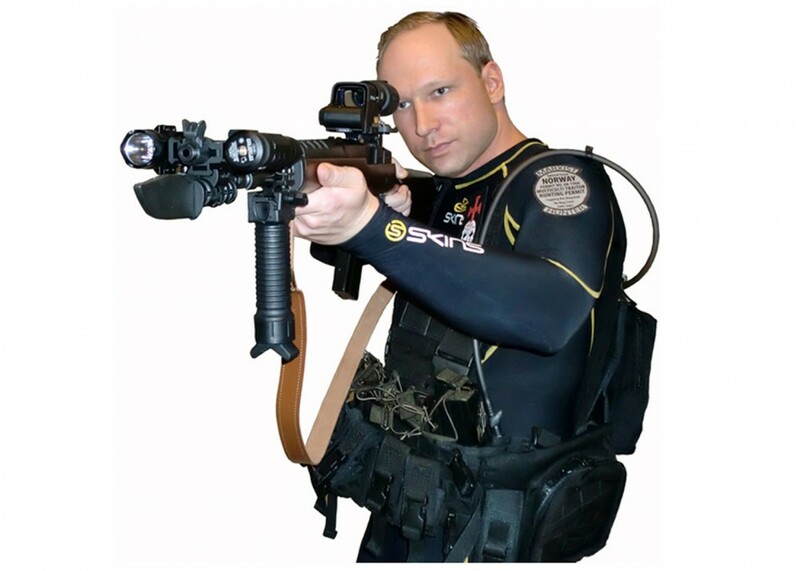 If we can agree on a basic definition of a terrorist as a radical who commits violent acts for political, ideological or religious reasons in order to provoke fear (terror) in the general public, then Breivik can easily identified as such. Thanks to his extensive “legacy” in the shape of a ca. 1500 pages long essay and Youtube videos, we can all find out exactly what his motivations were, just as he intended to, and learn that this man has some very strong convictions and opinions, and he knows how to justify them, too. How strange, then, that the public was quick to condemn him as a sick freak, a lunatic, in short: a social aberration. As though what he believes in, supports and, eventually, killed for was completely ridiculous, crazy, unheard of. Sure, he may not be an historian or political scientist, but he’s no Jared Lee Loughner either. He read his news, some Marx, some Spengler probably, some political commentators and he voiced his opinion on Facebook, on blogs and in forums… In short: He is one of us! We may or may not agree with his views (I know I certainly don’t) but we have to understand that this person cannot be dismissed as a crazy obsessive, a social accident. To do so would be dangerous. After all, his views on society are not the product of a madman, they are very common these days, especially in Europe, and they have become perfectly socially acceptable. His views regarding immigration and the loss of a nation’s identity are perfectly compatible with a lot of conservative parties in Europe, in fact, with the new far-right movements and political pundits, which have been gaining momentum for a while now. Of course, the owners of the names Breivik drops in his so-called manifest are trying to distance themselves; they have to. It would be outrageous if they didn’t. But that doesn’t change the fact that they share a system of beliefs, one that is inherently racist, often classist and sexist. Breivik is also a classic antifeminist, alarmed by society’s “moral decline” and “ladies” who don’t know their place anymore (at home, making babies). He can thus be easily related to the chauvinism and misogyny of Men’s Rights Activists, another fairly recent but increasingly popular “backlash” in Western societies. Add to that some homophobia, the fear of political correctness and anti-progressivism and you have a European version of a Tea-Partier. This is not too say that any of these people who share Breivik’s beliefs will end up going on a shooting rampage and bombing government buildings, but fear-mongering can lead to hate which can lead to violence. It doesn’t take a psychopath to do the math, and if it does, we are all potential psychopaths. the white male in crisis?